Sketchup, a 3D modeling software, aids in making interior designs, films, civil and mechanical engineering works, designing video games and for architectural applications. 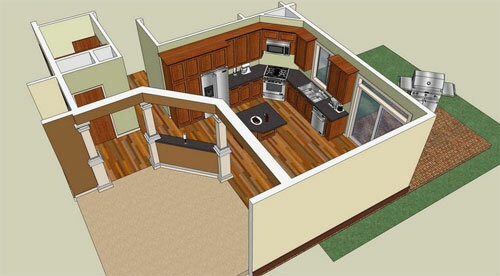 Sketchup is also a boon to those seeking to create dazzling 3D models for their projects. The training for Sketchup is something that needs to get started. There are guides, online courses, tutorials, expert guidance and many more services are offered to you to learn the perception and concept of this software program. This is the list of the five most excellent ways to study and learn details about Sketchup and making 3D models using the program. Online courses: Those looking to accustom themselves with Sketchup can avail of a number of online courses. These courses help them to study the fundamentals of this software sharply. The faster you take hold of the knowledge, the sooner you can put it to use and make amazing 3D models. However, you have to be careful while selecting the courses as there are many fake courses too. Select the courses that make accessible for you as a certificate confirming your knowledge about the software program. Expert guidance: It is ways best to learn from the experts as it would never go waste. For Sketchup too, you can look for an expert guide who could teach you about the software and share his/her own knowledge and experience. Technical skills are such that cannot be gain only through reading about them. An expert who knows precisely about the software is the best source to learn as only an expert can give you the tips to make optimum use of the software in the easiest possible way. An expert guide is the one you should seek if you are keen on learning Sketchup Pro quickly and with ease. Proper practice: Using a tool to prepare creative models would require practice as only practice would lead you to perfection. 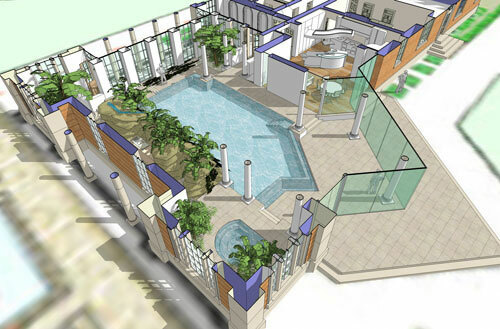 Those aspiring to become a professional in using the Sketchup software will require an in-depth study of the software, its functioning and its processes. You have to learn properly and then practice as much as possible to attain perfection in handling the tool. Tutorials/Guides: When nothing works, tutorials and guides are available for you both online and in stores, which can help you learn Sketchup quickly. The only thing you need to do is look for a genuine guide or video tutorial. An easy task, isn’t it? Go online, surf the internet and learn all about Sketchup pro in no time. Training center: If interested, you could also join a training center which offers proper training of the technical skills of using this 3D software. Just get enrolled in one of the many renowned training institutes and enlighten yourself about this amazing tool that helps you create 3D models easily. Look up for a training center that offers training in every minute concept relating to the software and present you a certificate for the training as well. In a previous post we saw how to map a texture on a model using spherical or cylindrical plug “UVTOOLS”, but if our firm has a more complex shape like that of a tent, a blanket or a towel full of wrinkles? Nell ‘bottom image 3d model of our next towel with the texture you want to apply. We click in the window of the material Sketchup, the instrument indicated by the red arrow then on texture (see image below), and finally. our towel (see image below). the result will be … a pretty crap! This will open a window where we will see the file path that we are exporting. At this point we open the program “Roadkill UV Tools” we have previously installed and load the saved file. Press “E” and highlight the model in the left pane where we see what it looks like (in the right we will see it as if it was open) then press the “W” (with the “Alt” key pressed we can run with the mouse 3d model at will). Go to “File” in the toolbar and click on “Save”. We close “Roadkill” and go back to Sketchup on our model, now with the right mouse button, click on “Import UVs”. This is the result. Just only adjust the size of the texture directly in the material of Sketchup. With the plugin “SketchUV” We can also place a texture on a spherical, cylindrical or flat clicking on it with the right mouse button directly from the menu without using “Roadkill”. Betaversity recently launched BetaBox, a mobile prototyping lab, loaded with rapid prototyping tools like 3D printers, laser cutters, scanners, design equipment as well as speed of though materials all inside a 25-foot-long shipping container. Blake Marggraff, a Washington University at St. Louis biology student, together his two partners has developed BetaBox. BetaBox is just like a portable makerspace useful for a K12 school, a university, or a company to get streamlined solution for rapid prototyping toward the classes, events, conferences, and community outreach projects. With BetaBox, one can just explore and transform any design ideas into reality with the help of dedicated professionals through most updated micro-manufacturing and design technologies. The above tools and technologies facilitate the students to use their knowledge which they acquired in the classroom in practical environment. BetaBox is accessible for rent with a variety of funding options. SketchUp is a 3D modelling program possessed by Trimble Navigation and utilized by designers in engineering and architecture. Plugins or scripts are broadly added to SketchUp for strengthening the 3D experience capability. Most of them are free of charge and can be redrafted by anybody inspired enough to fill the gap of increasing easy to use plugin. 1. Fur Plugin: This plugin is utilized by different SketchUp enthusiasts in making grass, greenery, carpet and in various other creative lines. In fact the cleverness of SketchUp users are remarkable. This is used in making “fur” on a created face by inputting certain type and figures in the fur settings. This will deliver a blade of grass and greenery in general. This would permit the designer a chance to adapt how tall and thick the greenery will be to his/her mental fulfillment. A trouble-free, speedy and easy to use and once the surface have selected, the user can utilized the plugin, imputing the coveted setting and viola. You have added grass to your design. 2. 1001 bit Tools: This contains 39 different tools which are supportive for a budding SketchUp user. This plugin is a “one stop shop tools” for the cause that it has wide uses from drawing a line on a surface, making window frame, to setting up a hip roof. What is preferable in this plugin is the formation of a hip roof, walls, opening frames, stairs and extruding profiles along a chosen path without twisting even if the path is sloping. 1001 bit tools will build life easier for SketchUp users. 3. Instant Roof: This is used for creation of a roof quickly. Once the face is selected, you only have to decide the type of roof you want. The choices of roofs include gambrel, mansard, ranch, craftsman, Elizabethan, new roof style, plantation, prarie, santa barbara, ski lodge and trellis. Additionally, user can create your own style through having your own roof, eaves, hip, and rafter parameters. Editing the slope, eaves, fascia, hip, and rafter settings can adapt the roof style. Furthermore, the user can import or export roof styles. 4. Mirror: At first it was discovered by Frank Wiesner and rewritten by TIG from version 3.1 up to the newest version to date. This is complete by selecting the object to be mirrored and then picking points to describe a line, points or a surface. You would then be asked to decide to delete or keep the original object. This plugin is used to mirror groups, components or raw geometry thus making it easier to manufacture multiple objects in a file without making them again from scratch. 5. Purge All: Purge all plugin for sketchupPurge, purge, purge as they always says. This important plugin helps you eliminate idle and unutilized components, layers, materials and styles. This is different from using Model Info because you have the option of what to purge on and also have a log or report made on what was removed. This will absolutely make your SketchUp file less in size thus adding speed in your drawing and rendering. 6. Round Corner: Just like all the plugins made by fredo6, the sketchup enthusiasts require to download first the latest version of libfredo6 to be able to use all his other plugins. Round corner is made of 3 tools, which are for making corners round, sharp and bevel. You have to pick the corner(s), which the user wants to be round, sharp or bevel then click the corresponding tool and modify the palette according to your preferred outcome. Then, click the check mark to preview the result and strike enter to exit the plugin. This is one of the best SketchUp plugins for making 3D object with softer edges. 7. Component Array: This plugin though named like the collection in AutoCAD should not be flawed as such because component array is still limited in comparison to that. However, scripts are rewritten often that the opportunity of being like the other or exceeding its ability is not possible. This plugin generates array on a chosen face and the output is controlled through user input on grid spacing, angle, type and orientation. This is good to use for rectangular array just like in AutoCAD. 8. Curviloft: Curviloft included 3 tools, which are loft by spine, loft along path, and skinning. The first tool, which is loft by spline, makes contours between surfaces based on spline curves. Next is the loft along path, which works just like the follow-me-tool however this has the ability to unite two different shapes. The last tool is the skinning, which produces contours from two or more paths. This plugin is cooperative specially in making objects, which have irregular sides and faces. 9. JointPushPull: The newest version to date has a total of 6 tools, which are joint, round, vector, and normal, extrude, and follow. The joint push pull is use to push, pull or thicken a surface. The round tool can thicken a surface with the prospect of rounding sharp corners. Next, is vector, which can expand an object along a direction. The fourth tool can push or pull multiple faces independently. Extrude tool works to push or pull in an average direction while keeping faces jointed. The last is the follow push pull tool, which has the capacity to extend along the direction of their adjacent edges. 10. Vray: Vray is a rendering plugin, which works very fine with SketchUp. It has material editor, which you can employ to apply and edit martials to your drawing. The option editor of Vray is used to manage how the render output will be. It has also the ability to batch render, export and import proxies. This plugin is absolutely one of the most popular amongst SketchUp users who want to have realistic 3D model rendering. MashMe is the newest app that can help users to produce animated videos as well as make video chat according to their desired animated characters instantly. This app is still in beta stage and will be available soon for commercial usage. Watch an online demo of this stunning 3d character modeling app. Lithuania-based CGTrader, an online 3D printing company as well as online hub for professional 3D designers and enthusiasts, is going to organize an exclusive design competition on 3d printing. This 3d competition will create huge opportunities for the skilled 3d artists to gain extra income. It will be a great platform for 3D designers and for CGTrader itself to coordinate 3D printing with other innovative technology. The new 3D printing challenge is based on the Apple Watch. The participants can go through the exciting pre-sale anticipation period to showcase their 3D printable designs and make money with their talent. Present 3D printable accessory designs well-matched with the new smart watch which range from watch-stands, cases, buckles and straps, travel pouches, and lots more to grab exciting prizes and view your 3D models included in the special Apple Watch Accessories collection, accelerating your scopes to strike the jackpot. The competition, will continue upto April 1, 2015 and the newbie and experienced 3D designers have to generate 3D printable objects well-suited with the Apple Watch as well as compatible with any iPhone. The best designs will be demonstrated on CGTrader’s website in an exceptional accessories collection devoted to the release of the Apple Watch. All the Designs should be uploaded to CGTrader and contain the “apple-challenge” box ticked to facilitate entering with a tagged model that will be eligible fir the challenge (just uploading to the gallery won’t enter the design). One can present several designs according to their choices. If anyone submits over 10 models, he/she will be qualified for the Portfolio category. Any individuals as well teams from all over the world can take part in this competition. As a reward, one will be entitled to cash prizes and credits on CGTrader’s website. Besides, the winners of Best Model and Best Portfolio categories will obtain 3Doodler 2.0 printing pens. Runners-up in the best model category will be entitled some cash, CGTrader credit, and promotion of their designs. It’s a great opportunity for 3D designers and for CGTrader itself to sync 3D printing with other innovative technology and to remind the growing community of 3D printing enthusiasts that the realm of possibilities where 3D printing is concerned is basically limitless. The video itself shows how sketchup models can be embedded from the 3D warehouse to the modellers site. 1. If you do not have a portfolio web site you’re reaching to get one for this tutorial. Don’t worry its super straightforward and easy. 2. First has to get the location of the model. 3. Embed tab is located at the lower of the right side bar. Thumbnail – a stationary image of your model. An example is shown below. 3d Viewer – a 3d widget of your model that you can turn and pan around. An instance is shown below. 5. After clicking on the option, a dialogue window-will pop-up with a code snippet. Then Copy this code. This is the magic you need to embed sketchup. 7. Now under the Post tab, select Add New. 8. Now name the post. 9. Click the Text Tab at the pinnacle of the dialogue box. 10. Paste your code into the dialogue box. 11. Publish the post, using the key in the right side bar. 12. Check-out the link and slick embed sketchup model! After long research, Limitless Computing Inc, the note-worthy solution provider in 3D mobile Augmented Reality (AR) technology, introduced the improved version of EASYSKETCH Plugin for Trimble SketchUp. This exclusive sketchup plugin significantly speed up & simplify the kitchen design method for architects, interior designers, kitchen designers and other sketchup users. EASYSKETCH contains a wide array of cabinets pre-modeled as per UK cabinet specifications. The kitchen designers can create detailed designs instantly as well as make any modifications locally or globally with some single mouse clicks. The users can just choose and drag a cabinet as per their choice from the chooser window and place it into the drawing space for commencing the designing work. There exists a drop down menu packed with various door styles and other finishes and the users can create a cabinet by selecting these options. A wide-ranging catalogue of cabinet styles. Material swatches provided by recognized brands. Detailed models containing real frontal geometry. The users can avail Easysketch with an introductory price of 33% off with coupon code 321EARLYBIRD. 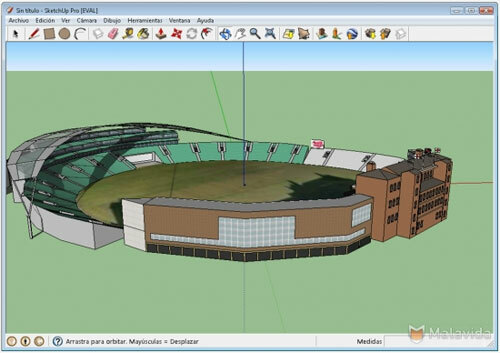 Limitless Computing presents custom Ruby plugin development for Trimble SketchUp. Prospective Users can contact with project specifications to avail it.